I know most Americans are all wrapped up in Season Three of the Trump Show, but here in Europe, we have other concerns. The UK Parliament plans to vote tonight on Theresa May's unpopular Brexit proposal, a vote she is widely expected to lose. What happens next is anyone's guess: options include new elections, a hard break, a new referendum, a delay for no clear reason, or whatever. If you're interested in learning more about Brexit, I highly recommend TLDR's short YouTube episodes, which are timely, objective and easy to follow. We are wrapped up in season 3 of the Trump show... There are so many plot twists and turns that just when you think you've seen it all, more drama ensues no matter where you fall on the political spectrum. Thanks for the pointers to the videos. I have Scottish relatives and several UK-based friends, so I'd love to be able to understand Brexit beyond their disgust with it, but I just don't seem to be able to grasp it no matter how hard I try. Northern Irish borders and Good Friday agreements and and and. I suppose it's the same for aspects of Season 3 of the Trump show. How did there come to be so much ado about the wall? I don't seem to be able to get why this issue should grab so much of America's attention and it doesn't seem like most Americans can either. This is frustrating and confusing to watch from across the pond, since even the opposition parties still seem to want to steam ahead with Brexit in some form or another, which can only end in disaster. It's like quibbling over whether or not to roll the windows down in a car that's barreling toward a cliff at full speed. Am I a dumb American for sitting over here thinking, "why not just...not Brexit?" It seems so clear now that the original pro-Brexit campaign was based on a bunch of false premises and that the public was largely misled. The referendum was non-binding. Why is the government so determined to drive directly off this cliff? Quite a bit of the not wanting to just stop the process is due to the parties not wanting to overturn "democracy" and the outcome of the referendum. Seems odd that Bloomberg characterizes the results of that poll as "the country hasn't shifted significantly" when it shows that the country has flipped from majority leave to majority remain. Leaving means wrecking the UK's economy and creating huge social and political problems that will take decades — maybe even generations — to deal with. Staying means...not doing that. Twitter user @jonworth created this helpful and depressing "What happens next?" flowchart for Brexit. We're currently at the "No Confidence Vote" box in the middle that all those arrows are pointing to. The whole situation is complex, I personally think that there is a lot of of dislike for the "current deal", but still a desire to leave Europe, which may make the polling more confusing in general. The Guardian's editorial on the current situation may also help shed some light on where things are at. 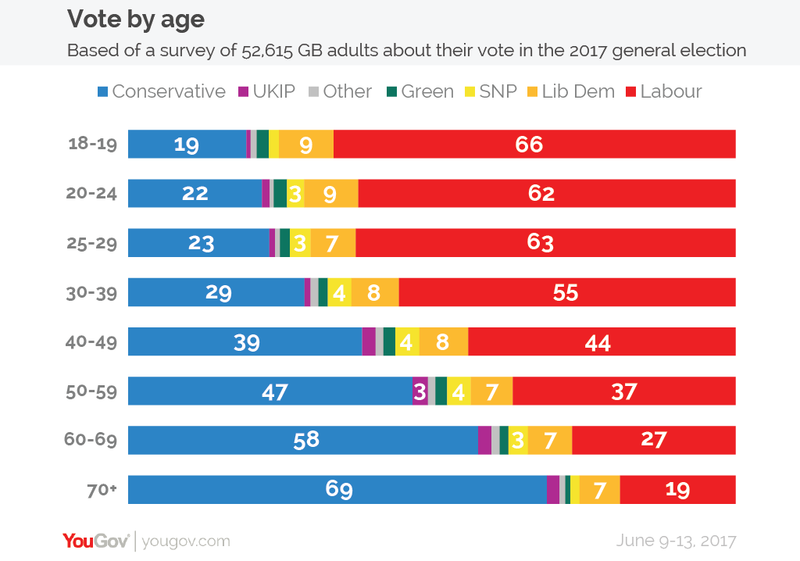 Brexit is basically a case of old people sticking it to the young, the same way that climate change denial is doing worldwide. Old people, stuck in the 'good old days', when Britain was a world power, unable to grasp the changing world and UK's position in it have gotten sold on a lie than EU is the root of all evils and they'll be better off without it. Not that the EU is perfect, but a better alternative doesn't exist. EU needs to be reformed, not destroyed. Being a European (and not from the UK), I'm kinda ambivalent about Brexit. On one hand, I'm really sorry for all the young people in the UK that will live with the consequences of this terrible self-own. On the other hand, the British (or, more precisely, the English) were never really committed to the idea of the EU, and always demanded (and gotten) special treatment and exceptions to the rules and for that, I'd be glad to see them out. If nothing, then in time when the young, overwhelmingly pro-EU, finally get into power they will be ready to join the EU on an equal footing. Interesting times ahead, in any case. I had a vague notion there was a split between young & old on Brexit, but I had no idea it was this pronounced. Wow. I appreciate your thoughts shared; as a former european and perhaps some day returning if I'll see old age being better off spent in what may still be at least a bit remaining of the old familiar places and society. One interesting recollection I have is visiting Switzerland more than a decade ago, and the chat I had with a cab driver, about how adamant they were about remaining independent. I am not much of an expert outside of my own interpretation of available facts. But what I do sense is an overall state of things in the world today is that there is futile resistance to the nature of things. Which in my opinion, is well described by Pascal's law. 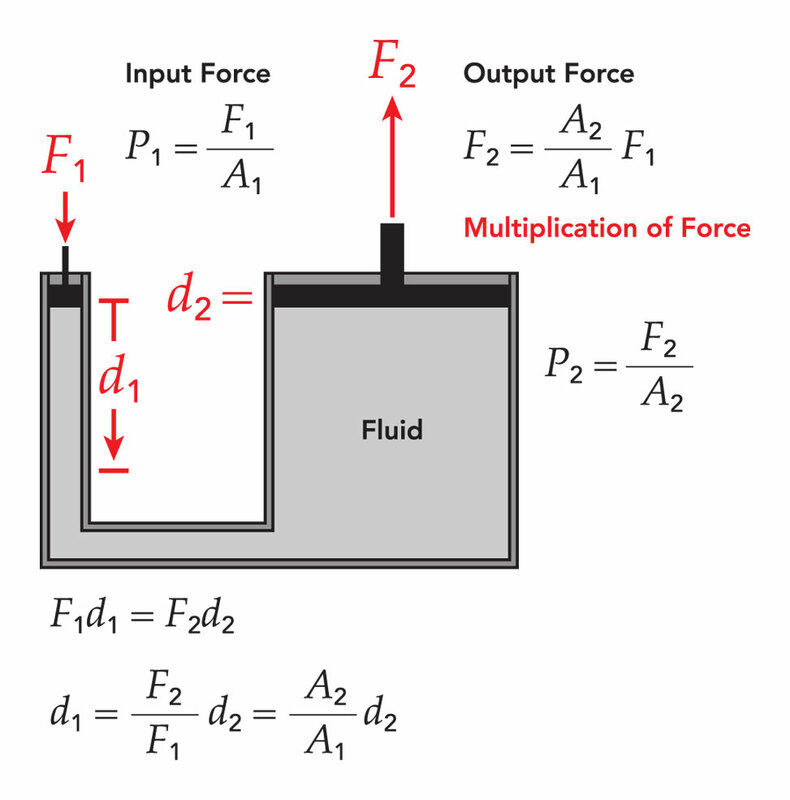 "Pascal's law is a principle in fluid mechanics that states that pressure at a point, has infinite direction, and thus a pressure change at any point in a confined incompressible fluid is transmitted throughout the fluid such that the same change occurs everywhere." There is a flip from majority leave to majority remain - but either way, the majority that exists is something like the smallest possible (50+x, x<<10), and thus very fragile and weak to random mood changes. I was shocked two years ago to learn that they would go through with Brexit with just a simple majority and no quorum(?) - and I'd imagine that nearly half of the voters will be pissed after a second referendum as well, no matter the actual outcome. I guess the lesson to be learned here is to never allow for things of this scale to be decided by a simple majority, and instead ask for some sort of qualified majority (like 3/5 or 2/3 of votes), or alternatively for a simple majority of potential voters. In the long run, it might turn out that European integration is more successful without the UK. As you said, the UK has received special treatment (waivers for Schengen, Euro, and more). If they leave now, it is doubtful that they will ever be permitted to rejoin with the same special treatment. Yes, I agree that it is absurd to decide matters of tremendous national import by simple majority. The UK joined the EU after 67% voted in favor in the 1975 referendum, which was a lot more convincing. Now it's true that referendum results aren't legally binding in the UK (they're 'consultations') but no sane politician would attempt to override the results, no matter how small the margin. Thus there is a good case to be made for insisting on some sort of super-majority decision rule. I don't think democracy requires that a question be asked once and only once. That's why we have regular elections. I think people who claim it's undemocratic to have another vote are really just afraid that this time they will lose. If exiting Brexit wasn’t considered to be at that seismic level of impact, I would be seriously concerned about the impending system shocks created by the next majority-passed initiative. 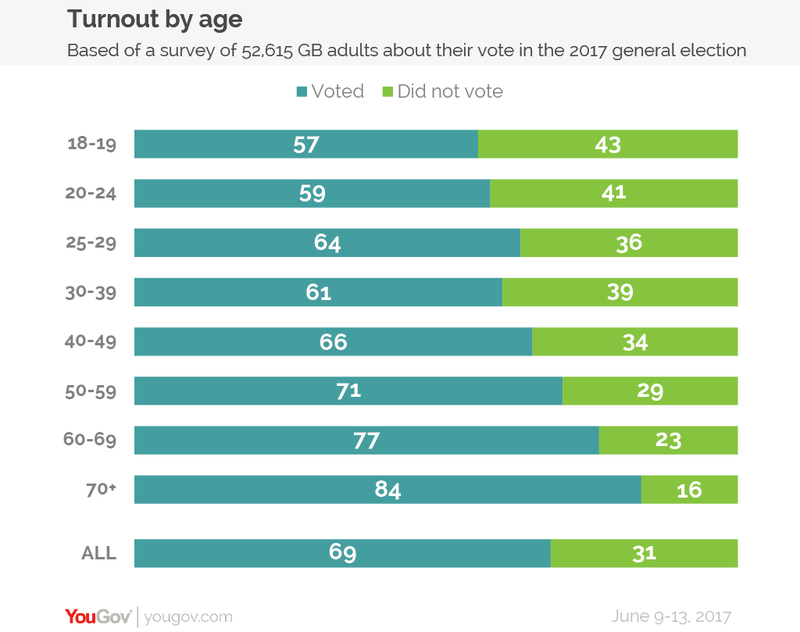 It sounds like in Britain, as in the US, it's the tyranny of older voters. Source. Oh no, I would fully expect them to go to the back of the queue and go through the process all over again. My memory is still fresh from the accession process my country (Croatia) had to go through in the early 2000s. It's, well... a humbling experience. :-) They would benefit from it. In my opinion, one of the best ideas to improve the world in general is to revoke the voting rights of the over-65 population. They won't be around to live with the consequences of their choices, so they shouldn't be able to impose them on those that will. I'm torn about the over 65 vote idea because some of the olds remember that polio and smallpox were a thing but they're probably a lot less socially progressive, no? Actually, do we have data to indicate if they are more left or right in other countries besides the U.S.? As far as getting young people out to vote, Trump seemed to have more success with that than any other U.S. president. Thanks for posting this Richard. As a UK resident, and a middle aged one at that, perhaps my perspective might be of interest. I think the basic point to remember is that the UK referendum was not a vote to leave Europe (which is how some more hysterical pundits seems to paint it). Rather, it was a vote to leave the political construct of the European Union. The EU has always been a polarising institution. It was, and is, a wholly political creation. Nothing wrong with that, as anyone who values even standards would admit. However, I believe the widening between the polar opposites began to widen with the creation of the single currency which, from a basic economics perspective just does not work in either concept or practice. Whilst capital has proved itself enviably mobile, the other factors of production have not. Mass migration does not prove that labour is mobile. Each country in the EU has its own "character", for want of a better phrase. Because of this, and the lack of factor of production mobility, locking members into a single currency could only ever create the fiscal instability we have seen, with northern Europe running large trade surpluses, and several southern states building up serious deficits. Unable to allow their currencies to depreciate (as would have been the case pre Euro), the members will continue to diverge in this sense.